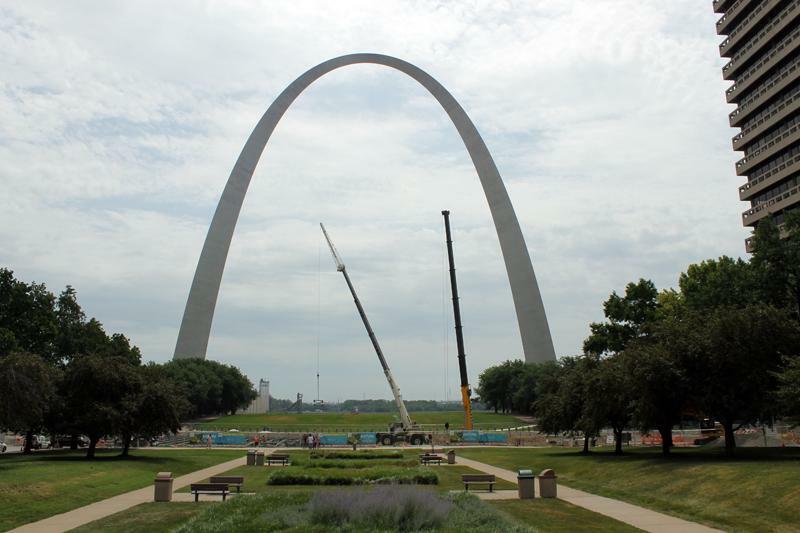 The St. Louis Gateway Arch is in the form of an inverted catenary, which is a very stable structure that is often used in bridges, domes, and arches. It is an elegant monument to westward expansion in the USA. Located on the banks of the Mississippi River in St. Louis, Missouri, the 630-foot tall stainless steel arch rises above the city skyline. Clad in stainless steel and built in the form of a flattened catenary arch, it is the tallest man-made monument in the Western Hemisphere, Missouri’s tallest accessible building, and the world’s tallest arch. 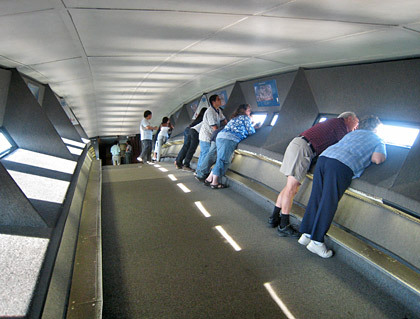 Designed by architect Eero Saarinen who won the design competition in 1947. Construction on the nation’s tallest memorial, built at a cost of $13 million began February 12, 1963 with the “topping out” on October 28, 1965. It was dedicated in 1966.